Joan Danziger, Blue Beetle, 2011, metal, glass, acrylic and paint, 32 x 31 x 6 inches, courtesy of the artist. 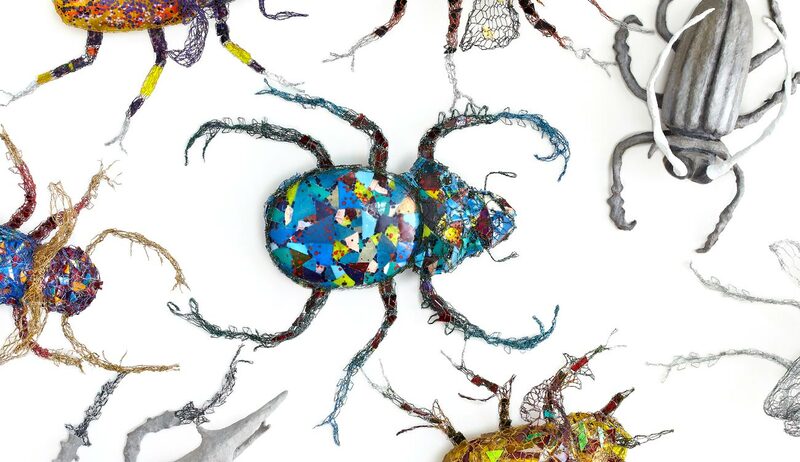 Joan Danziger, Retro Beetle, 2012, metal, glass and acrylic paint, 41 x 33 x 21 inches, courtesy of the artist. 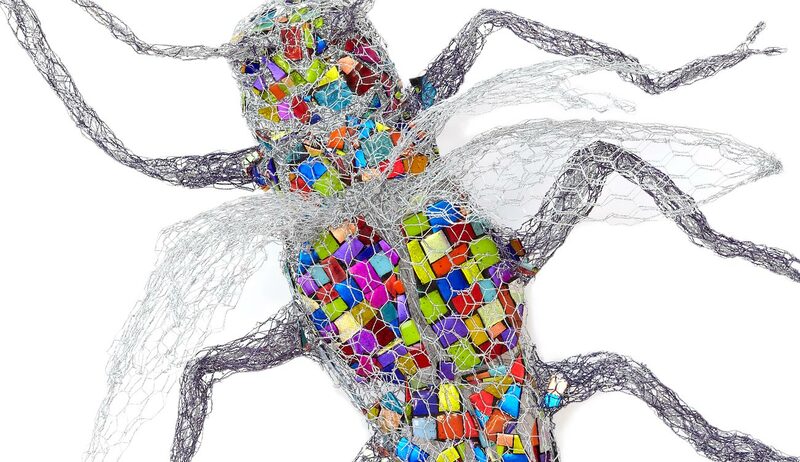 Joan Danziger, Tortoise Beetle, 2012, metal, fused glass, frit, acrylic paint, 40 x 40 x 7 inches, courtesy of the artist. 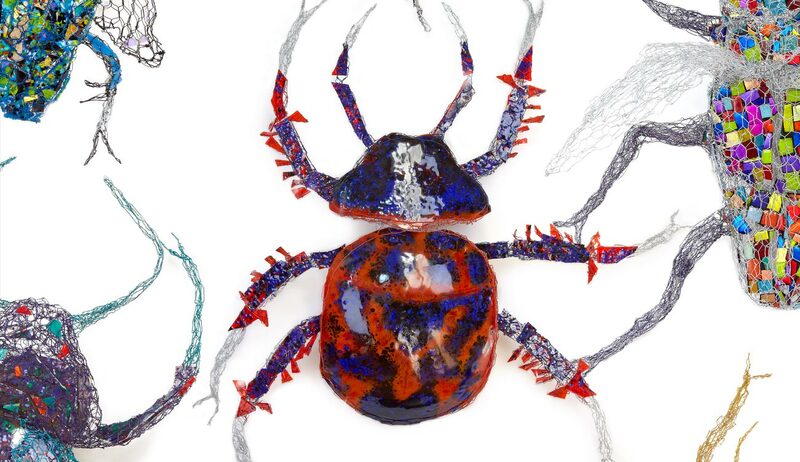 Explore the extraordinary world of sculptor Joan Danziger of Washington, DC, whose creations—creepy, crawly specimens with six legs and wings—take center stage. The artist earned a BFA in painting from Cornell University and continued her studies at the Art Students League in New York and the American Academy of Fine Arts in Rome. Danziger has exhibited throughout the U.S. including Washington, DC’s American University and the Corcoran Gallery of Art, the New Jersey State Museum, the Jacksonville (FL) Museum of Art and Sciences, the California Museum of Science and Industry, and the New York State University Art Gallery, among others.